Office Depot forked out $25 million this week over bogus antivirus scans. The company had a misleading form that prompted people to pay $300 for what was ultimately an unnecessary repair. It ran this program from 2009 through 2016 before it eventually stopped. Another company, Support.com, paid $10 million in the investigation as well. Minit is coming to mobile soon. It’s a rather unique game. Players only have one minute to play. You do as many things as you can possible do in that time span and the game ends after that. Minit saw great success on console and PC so we expect the game to do well on mobile as well. We don’t have details about the game’s launch date or pricing yet. Stay tuned for more! Snapchat’s bit Android rebuild is rolling out this year. We sat down with a few members of Snapchat’s development team to talk about the behind-the-scenes of that huge endeavor. They talked about identifying the problem, how to fix it, their previous code base issues, and plenty of other topics. Hit the link to read the full story! Google had some good stuff happen this week. To start, Google Duplex is finally rolling out to non-Pixel phones in the United States. The Samsung Galaxy S10 Plus, OnePlus 6, and OnePlus 6T are among the first to get it according to reports. In addition, John Legend’s voice finally officially made its way to Google Assistant earlier this week. It’s been a long time coming for that one. Google also had some bad news this week. Google+ officially shut down on April 2nd, 2019 as scheduled. You can still download your old data if you want it, but access to the site is now gone. In addition, Inbox by Gmail also officially shut down on April 2nd, 2019. 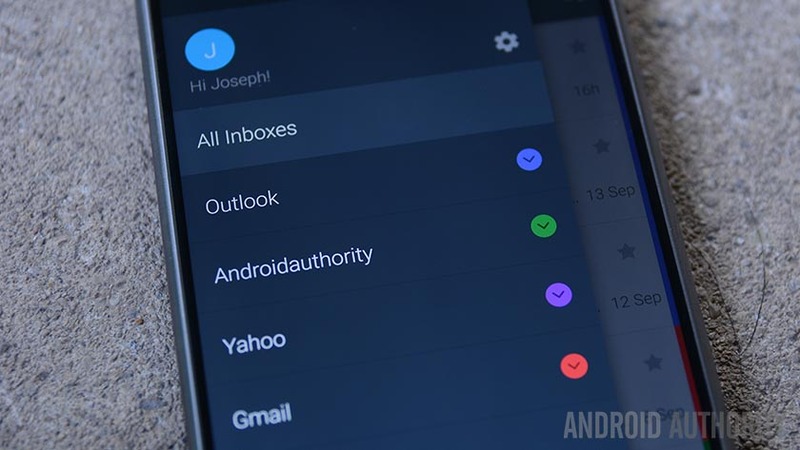 The Gmail team already ported a good number of Inbox features directly to Gmail. However, it’ll never quite be the same as Inbox. Those affected can check out our picks for the best Google Inbox alternatives here. Lightbeam lets you share your screen with other Android devices. It basically turns any app into a collaborative experience without a lot of hassle. You basically connect to other Lightbeam users and they see what's happening on your screen or vice versa. It's a bit of a niche app and we can't think of any widespread use you would need out of this. However, it worked fairly well in our testing, although it could use some stability improvements. It's early days still, but this one shows a lot of promise. Grand Mountain Adventure is a new skiing game for Android. It features surprisingly gorgeous graphics, simple controls, and very satisfying game mechanics. It's an open world game and that means no missions, no closed off areas, and no specific quests. You simply ski through the wilderness. Players also encounter stuff like deer, bears, and other NPC skiers and snowboarders along with potentially lethal avalanches. It has a lower graphic mode for low spec devices so most phones should play this well. Holey Light is the latest app from Chainfire, developer of many amazing things and also Hidey Hole. This is another app specifically for the Galaxy S10, S10e, and S10 Plus. It lets you turn your punch hole cutout into a notification light. It's a little barebones right now and only works while plugged in or with the screen on. The feature to use it on battery with the screen off is still in the works. Still, this is such an obviously good idea for S10 owners that we had to write about it. It may be useful now, but it'll be way better in a few updates when all of the features are working properly. Until then, it's in beta and it's also entirely free. The Elder Scrolls: Blades is a new action RPG in the Elder Scrolls universe. Players can create a character from basically any race in the franchise. In addition, players quest for various materials, level up their characters, and rebuild a town that was ransacked by a real jerk queen. Bethesda actually opened up the Early Access Beta version to everybody with no invites or waiting needed. Thus, you can download the app and play it right now. Keep in mind this game is not done yet and all progress rolls over to the full game when it launches. Have fun! Spark Email jumped at the opportunity to launch during Inbox by Gmail's shutdown. It's a good move and, thankfully, the app itself is pretty good too. The app has a bunch of desirable features, including a snooze function, a send later function, reminders, various customization options, email pinning, smart searches, and a smart prioritization tool. It supports most current email clients like Gmail, Outlook, Yahoo, and many others. It's also entirely free. Google Play reviews complain of a few bugs here and there, but nothing that looks overly serious to us. If we missed any big Android apps and games news, updates, or releases, tell us about them in the comments! You can also click here to check out our latest podcasts!